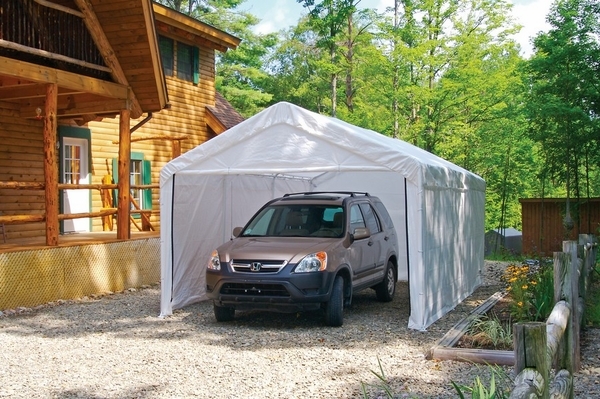 Whether you use your 10 by 20 canopy from Shelter Logic for outdoor events or as a vehicle cover, you can enhance its protective abilities by upgrading it with this enclosure kit. With the solid rear, side, and zippered front panels included, you can instantly create a completely closed space to exclude wind and blowing rain. The solid, 3-layer white panels are secured with bungee cords, also included, and all components are guaranteed under a warranty. 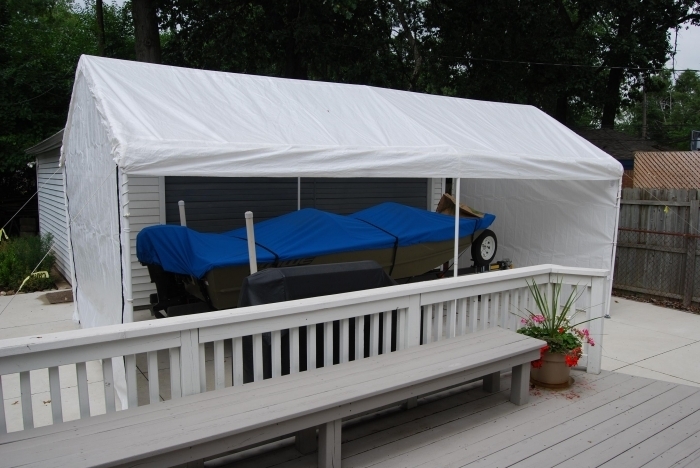 I'm looking for cover kit for a ShelterLogic Canopy 10x20, do you have one? We do have the replacment cover for the 10 x 20 with 1-3/8" frame. Excellent product which is just as described. The enclosure is ruggedly made and easy to implement by one person. I love it! 'This store has been excellent to work with and I will deal with them again anytime. ProsEase of use and ruggedness. ConsNothing so far. I have no negative observations or complaints to offer.